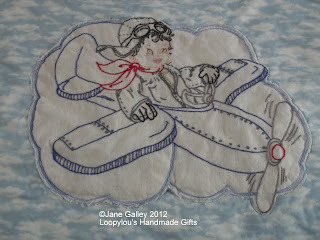 I'm gradually working my way through the quilt tops that need to be completed and made up. This one has been there for some time, I think I did the centre some time last year. Do you remember this little fellow? 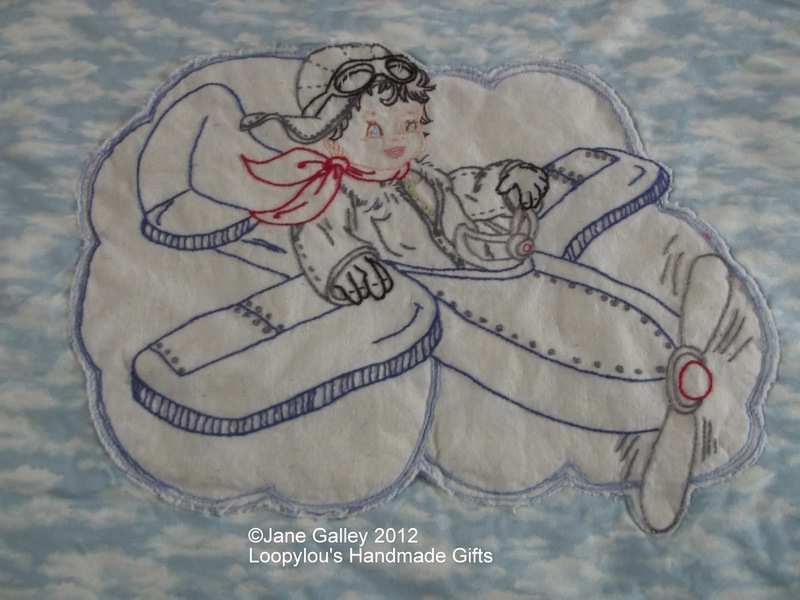 It's hand stitched, then raw edged appliqued onto the cloud fabric. I had enough of the dark blue leftover from Jonathan's quilt to do the binding, I just had to buy some for the backing. 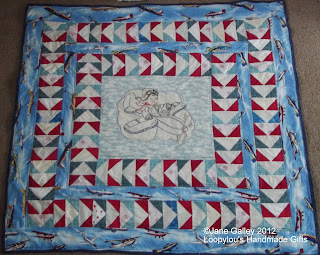 Sunday was spent sandwiching it together, quilting, binding and finishing. It's now been washed and dried and ready to hang on the wall or to be used by a little man sometime, somewhere. Jane, you have done a marvellous job. It is really lovely. 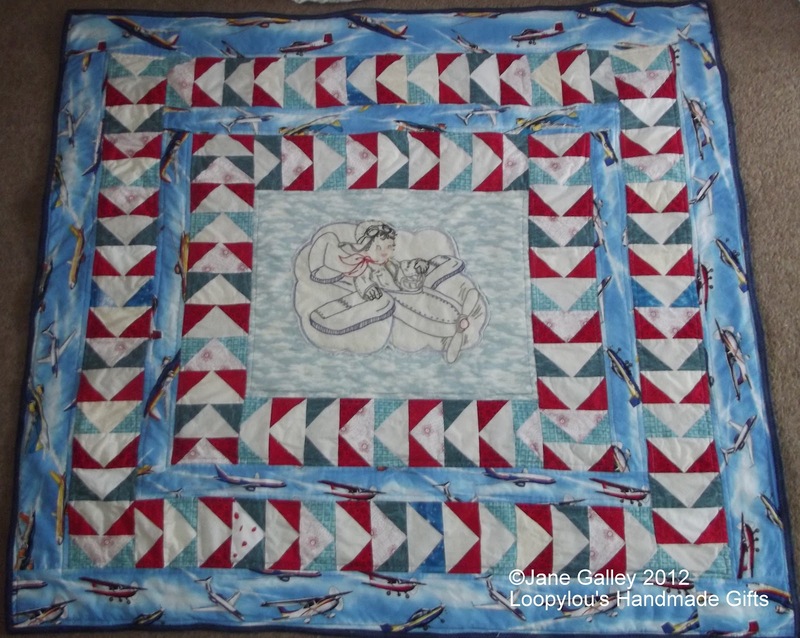 A great nautical theme quilt. Very nice. Good job done. Yes I do remember that little stitchery. It is perfect in that setting! This is so jaunty and vintage. Love it.